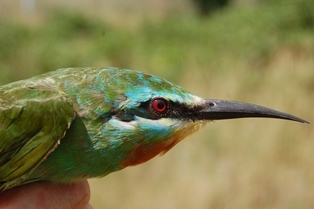 Graham Grieve and Karin Nelson joined me for a few days of ringing in coastal Zululand. 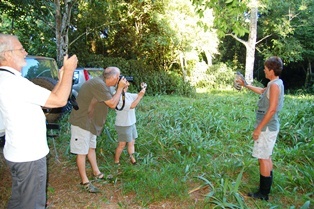 Having given a talk about PHOWN at BirdLife Zululand (bird club in Richards Bay) on 6 Feb, bird club members were invited to attend ringing sessions. 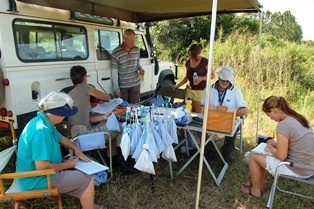 Selected photos are shown from each ringing session, and species totals caught are shown in the Table at the end. 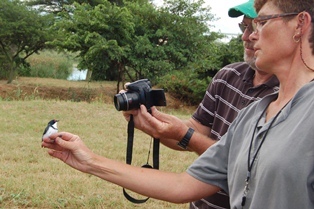 After the ringing, the 20th anniversary celebration was held at the KwaZulu-Natal National Botanical Gardens (11 Feb), with talks on ADU projects, including SAFRING, and PHOWN - see news item. PHOWN records from this trip may be viewed here. Our first morning was at the Pan. 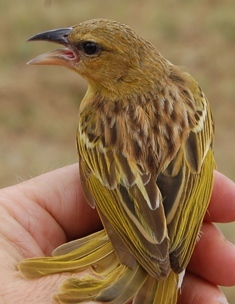 The most caught species was Yellow Weaver. 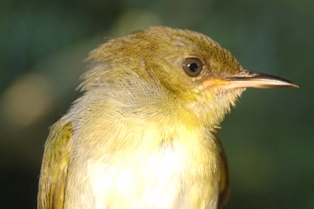 Two birds were recaptured from previous ringing here: a Tawnyflanked Prinia from July 2011 and a Yellow Weaver (BH31164) from 2006. 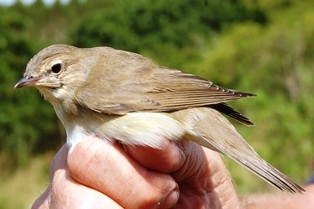 For previous ringing here, see news item and trip report. 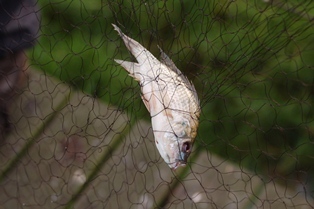 Mozambique Tilapia, bycatch of Pied Kingfisher! All day was spent in the forest. 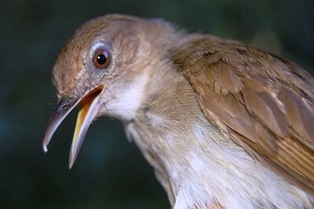 The first bird was an African Goshawk, and the most caught species was the Green-backed Camaroptera. 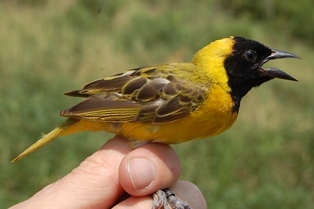 No weavers were caught here, although Dark-backed Weavers were seen. 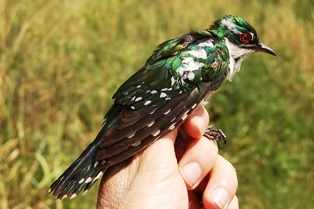 Some special birds caught were Fiery-necked Nightjar, Garden Warbler, Red-headed Quelea, and Purple-banded Sunbird. 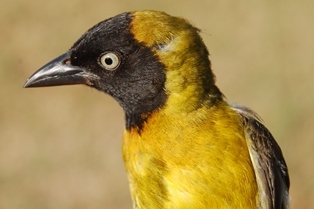 The most caught species was Yellow Weaver. 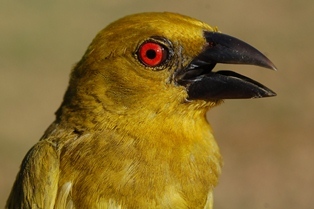 Four birds were recaptured from previous ringing here: a Dark-capped Bulbul, a Green-backed Camaroptera, a male Spectacled Weaver, and an African (Bluebilled) Firefinch, all ringed in July 2011. 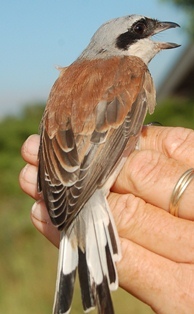 For previous ringing here, see news item. 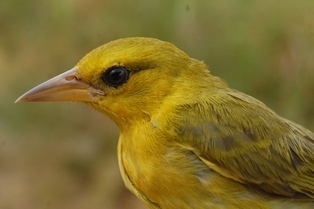 Lesser Masked Weaver, with dark eye! 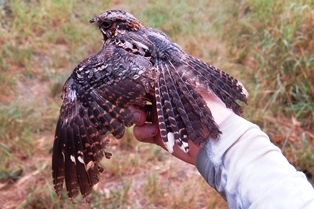 A total of 424 birds of 58 different species were caught in 4 days. 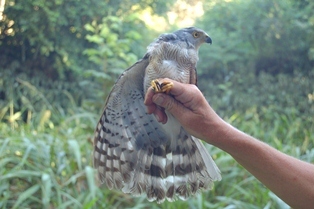 A few were recaptures from previously (see under sites above). Thanks to Tony and Monika Roberts for accommodation and catering suppers! 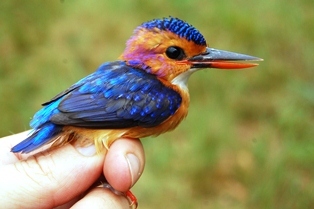 Thanks to Sappi for permission to ring at Amangwe forest and Teza Lake. Thanks to Karin Nelson, Graham Grieve, Alan van Zyl, Tina Lickfold, Daniel Oschadleus, Heather and Sharon Blignaut, Dominic Rollinson for their help. Thanks to Charlie and Denise for accommodation in Pietermaritzburg! 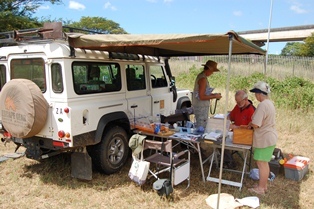 The trip was funded mostly by Project for the Enhancement of Research Capacity (PERC, UCT).